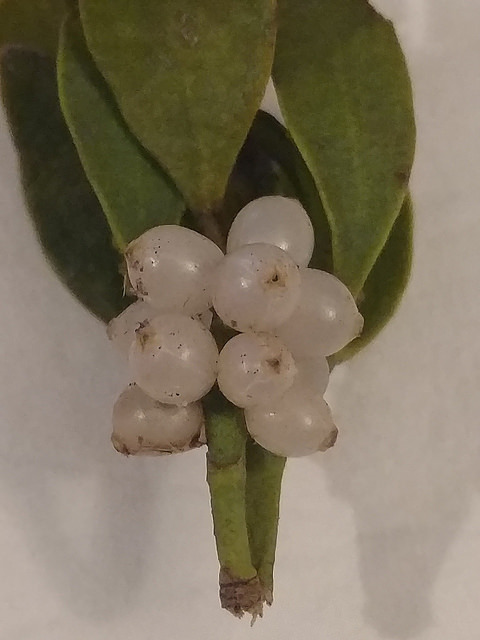 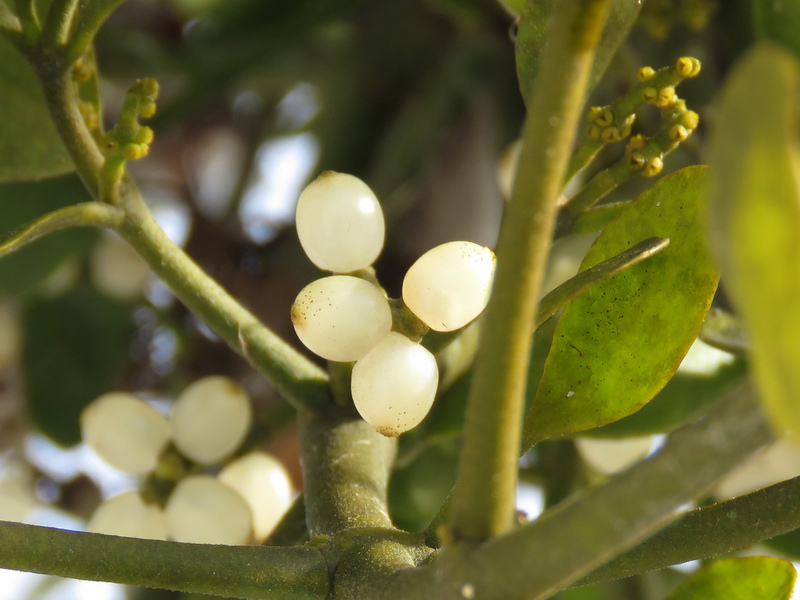 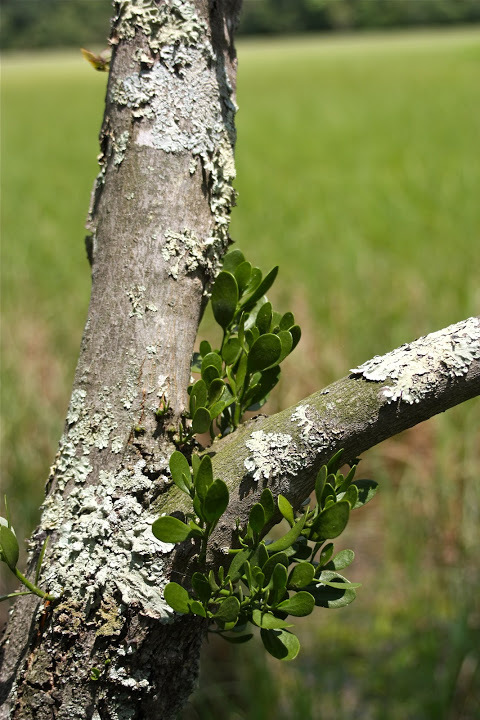 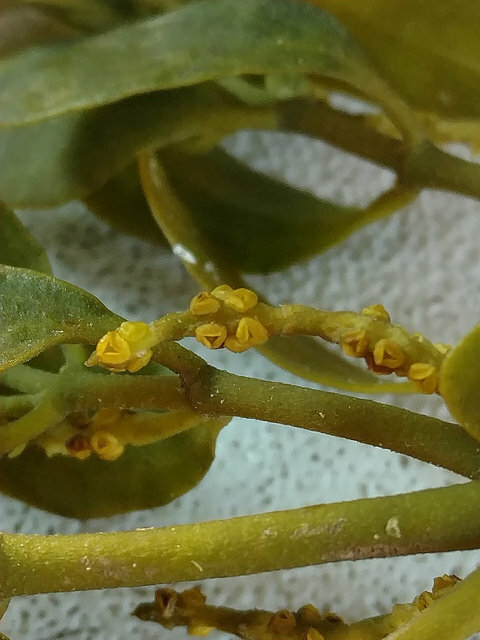 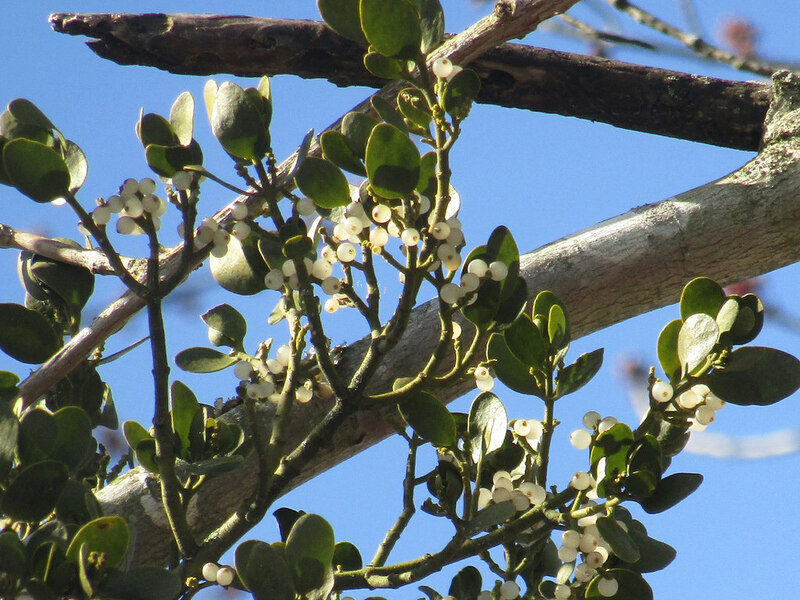 American Mistletoe Phoradendron leucarpum (Rafinesque) Reveal & M.C. 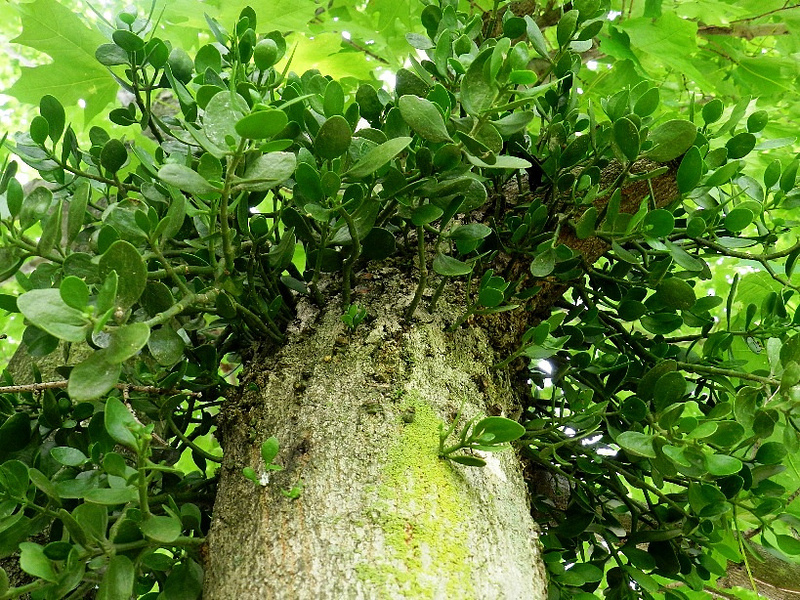 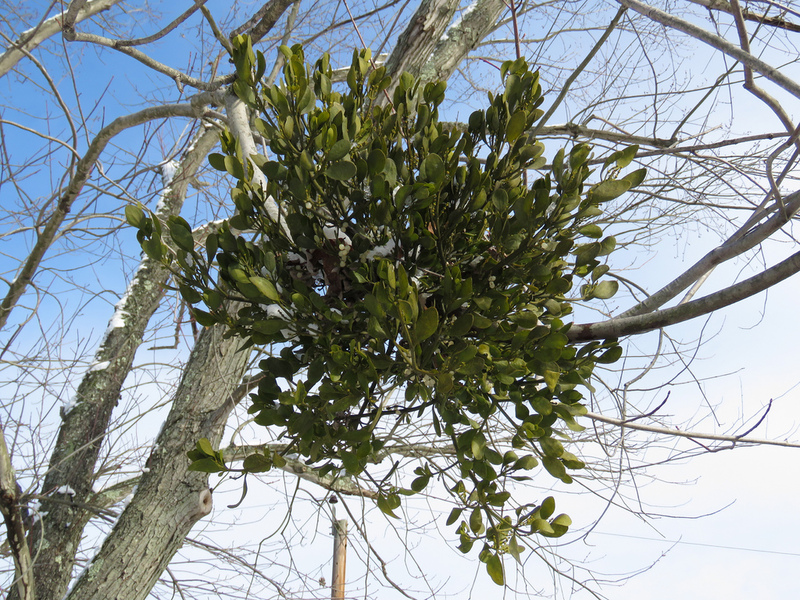 Johnson Synonyms: Oak Mistletoe, Phoradendron flavescens, Phoradendron serotinum. 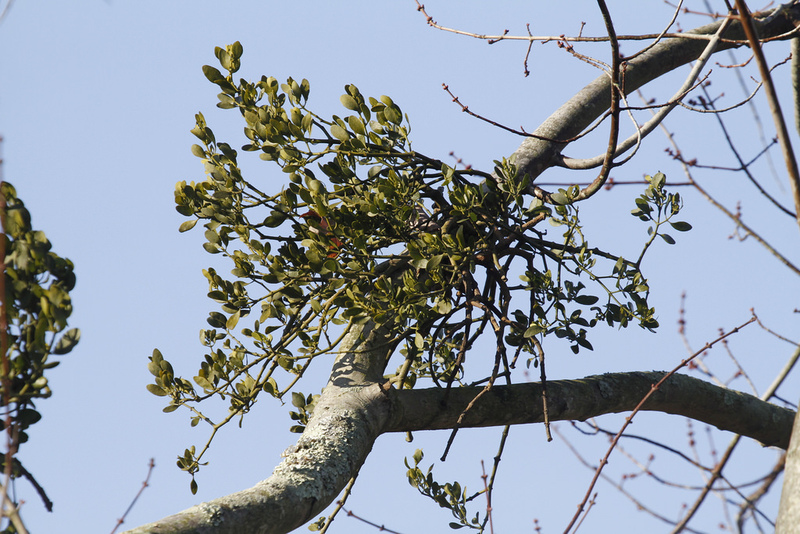 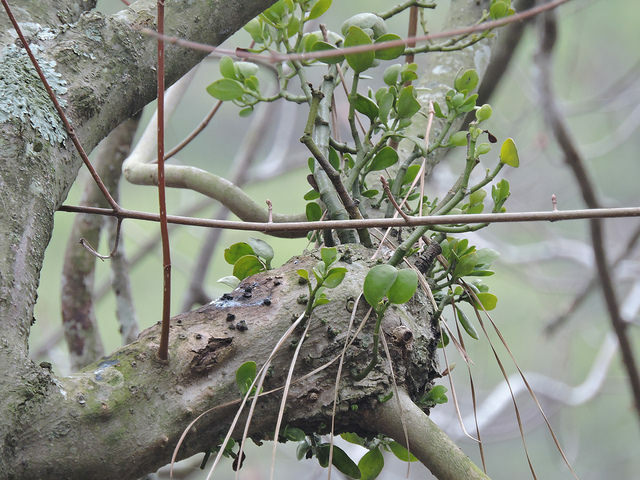 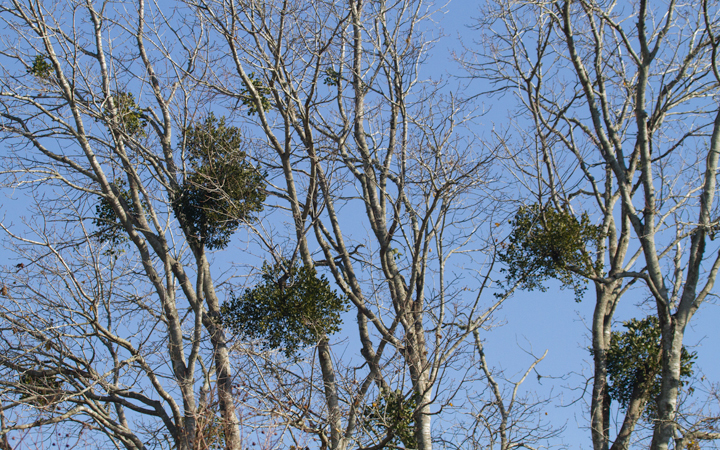 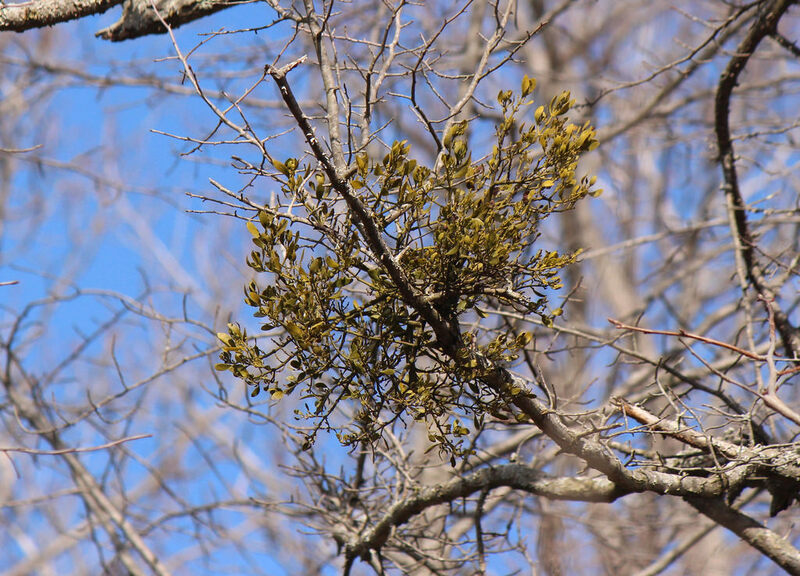 American Mistletoe is an evergreen hemi-parasitic plant that is typically found growing on Red Maple. 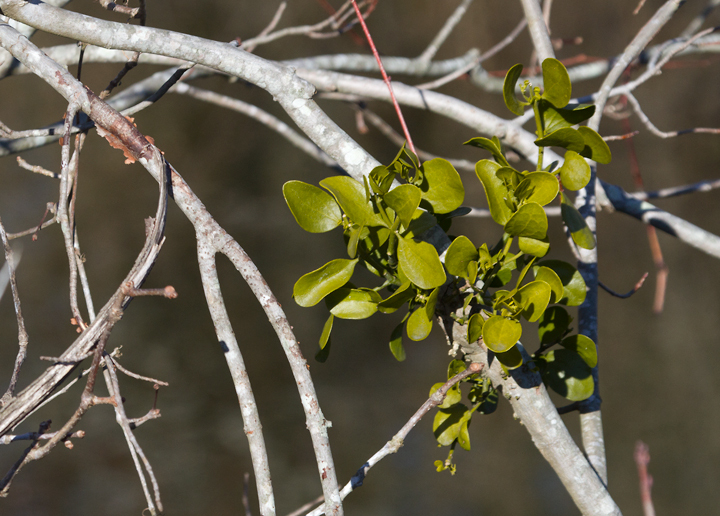 Most common on the coastal plain, but can also be found along the Fall Line. 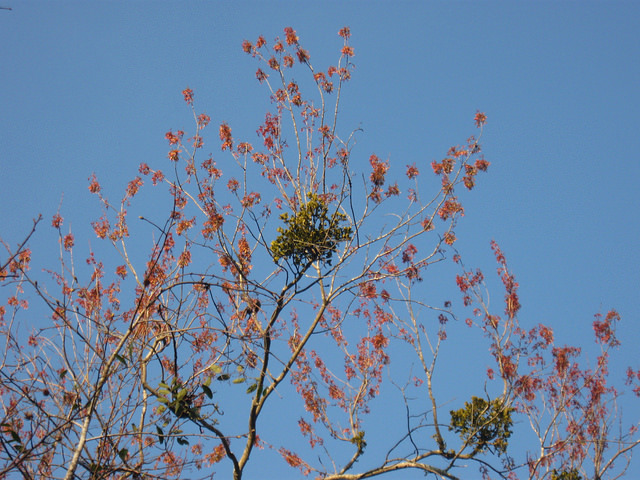 Primary host plant of Great Purple Hairstreak. 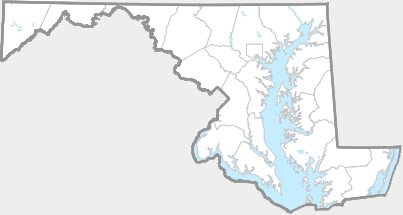 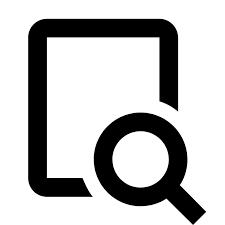 There are 188 records in the project database.